You know when you’re buying all the new LE blushes because OMG they’re so pretty and then you end up using the same old one again and again because that’s what works for you? Urea is like that blush. While you’re getting carried away by all the new skincare bling – Stem cells! EGF! Bee venom! – urea’s the workhorse that’s keeping your skin all soft and glowy. It deserves a bit more credit, don’t you think? Especially, cos your skin goes south quickly when it doesn’t get enough of it. Just ask anyone with eczema or psoriasis. Their skin has very little urea and look at how much damage that is wreaking. Ugh. What The Heck Is Urea? Urea is protein garbage. Literally. When your body uses protein, it spits out a nitrogenous waste byproduct called urea through sweat and urine (ewww!). Your body doesn’t need it. But your skin…. it can’t get enough of this stuff. Urea has two super powers: it exfoliates skin AND hydrates it at the same time. Cool, huh? Healthy, young skin has plenty of urea. But as you get older, your skin makes less of it. That’s one of the reasons why you usually need more hydrating products as you get older. You know who else needs their extra share of urea? Psoriasis and eczema sufferers. Skin with psoriasis has 40% less urea than healthy skin. Skin with eczema fares even worse: it lacks 85% of the urea it needs! P.S. The urea in skincare doesn’t come from pee. Phew! P.P.S. “Urine therapy’ is a thing, though. Please, don’t do it. What Does Urea Do For The Skin? Let’s get the fancy sciencey jargon out of the way first: a humectant is a moisture magnet. Its job is to attract moisture from the air and bind it to your skin to keep it hydrated. Hyaluronic acid and glycerin are the most famous member of the humectant family but urea has got what it takes to give them a good run for their money. You see, not only urea readily absorbs water, it also has a very high water content itself. That means it can hold a truckload of moisture in the skin. The Koreans aren’t bluffing when they say moisture is the fountain of youth. When your skin is well-hydrated and has all the moisture it needs, it functions better. All this moisture plumps out your skin, so your fine lines and wrinkles look smaller. It smooths out skin, giving it a softer texture. It provides instant relief to dry, itchy skin and nurses it back to health. It makes it glow. You can use all the antiaging superstars money can buy, but if you get the hydration part wrong, your skin is never going to look good. Never. Related: What The Heck Are Humectants And Why Should You Add Them To Your Skincare Routine? Urea works a bit differently from other exfoliants. While scrubs manually remove dead cells from your skin and acids chemically dissolve the “glue” that keeps them stuck together, urea works with the ingredients that make up the molecular structure of the skin. Together, they regulates the skin’s cellular turnover, i.e. its natural exfoliating process. In other words, it makes sure dead cells slough off when they’re supposed to. That doesn’t just make your skin smoother and brighter. It strengthens the skin’s protective barrier, too, so that moisture stays in and germs and other skin’s enemies stay out. You see now why it’s so great for dry skin, psoriasis, eczema and all kinds of skin problems really? Related: Physical Vs Chemical Exfoliation: Which One Should You Choose? What Else Can Urea Do For Your Skin? If your skin is in some kind of trouble – eczema, acne, psoriasis, Sahara-like dryness, you name it – urea may just be the thing it needs. 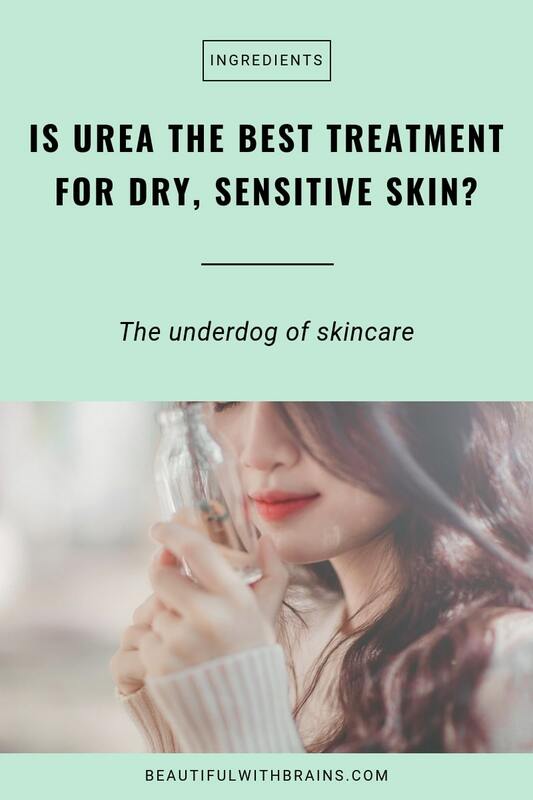 What Are The Best Skincare Products With Urea? CeraVe Psoriasis Moisturizing Cream With Essential Ceramides ($23.99): available at Amazon. Eucerin Dry Skin Replenshing Cream 5% Urea (€11.03): available at Feel Unique. Eucerin Smoothing Repair Dry Skin Lotion ($45.60 for a pack of 4): available at Walmart. Sebamed Extreme Dry Skin Relief Face Cream 5% Urea ($19.99): available at Sebamed. Forget about all those fancy skincare ingredients. If you’re dealing with super dry skin, psoriasis, eczema, fungal acne or some other serious skincare trouble, go back to basics and get yourself a tube of urea. It has hydrating, exfoliating and anti-microbial properties that’ll nurse your skin back to health in no time. Have you ever tried urea? Share your experience in the comments below. Yes, my main moisturizer is a urea based one:Tagespflege Urea Tagescreme (with 5% urea). … Although, according to the site, it seems it’s not on sale anymore. Bah. Ana, I really don’t understand why it’s so hard to find a cream with urea. It really is a miracle worker for dry skin. There maybe some truth to the urinating on a sting concept? In an emergency? Sue, in an emergency, yes. But that should be your last solution. The urinating on a sting comes from neutralizing the sting. Certain stings are acidic and I think pee is alkaline literally neutralizing the discomfort. It’s a ph thing. Also in the army men are told to pee on their toes to help athletes foot, it kills it by changing ph environment. Meryil, thanks for the clarification. Woah!! I never knew urea was so good! I stole my cousins eczema cream to treat my desert like legs and hands and used it on my face too! My god! It sure worked wonders for my dry scaly acne prone skin! and all thanks to you knew the ingredients and hiw they work but was scepticle with urea and now i know why it worked so goo!! Thank u!! Laiba, I know right? I can’t believe it gets so little press when it’s such a miracle worker! Glad it helped you too. You are like a breath of fresh air when it comes to skincare; I love, love, love your blog. Keep it up! Beverley, awww thank you! You made my day. I started using this but it makes my face kind of hot right after use. It doesn’t sting though. Just wondering if anyone experience the same thing. Dee, mm that shoudn’t be happening. There may something else in the product that your skin may not like. Well, bottom line is I got another reason to head to the gym! Katrina, urea is so underrated! Everyone wants to talk about the popular ingredients, but it’s the old and unglamorous ones that are true lifesavers. Thanks so much for your support. So glad my post helped! I started using Eucerin hyal-urea cream (similar to their 5% face cream but with HA, more Shea butter and Cerimides) and it has made an amazing change to my skin! My skin has become increasingly dry while I still battle clogged pores & imperfections. 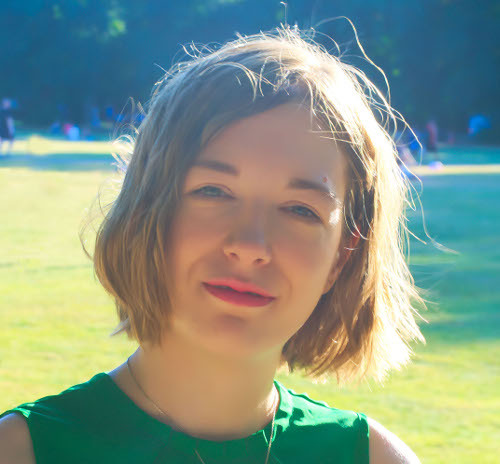 Winter is a particularly difficult time and I broke out in an eczema/dermatitis condition last year that took ages to heal. As the air got dryer again this year, I felt the tell tale signs of insatiable dryness return (needing to apply moisturizer multiple times a day) and suddenly thought to try the Eucerin cream with Urea in it. My skin is now softer, firmer, smoothed and it lasts all day. It took off a lot of dead skin and reduced the dehydration lines in the dry patches. Yippee! Fayee, yay, so glad you’ve found something that works so well for you. Urea is the best, isn’t it? Thanks for sharing. Thank you so much for all your hard work! Quick question(s): Should I use urea day or night, with retinol (pm) and vitamin c (am)? Thank you! Janel, you can use it both day and night and you can layer it with anything.